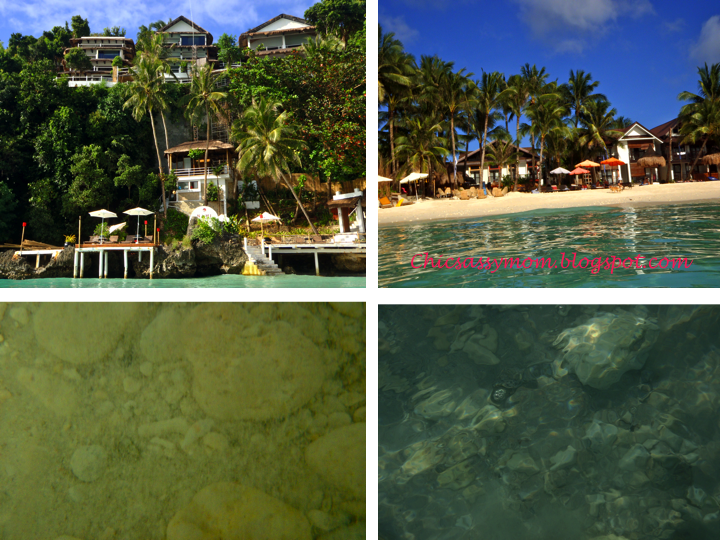 Welcome to the picturesque Boracay from Diniwid Beach with ❤! After taking the more or less 5 hour bus trip from Iloilo to Caticlan, and then arriving at the Caticlan Jetty Port, and only to still take the signature boat ride to Boracay Jetty Port, the sweet smell of the beach, the sun and the pristine sand that Boracay Island boasts off is just another land trip away...oh well, almost there! I love staying in Boracay's Station 2. For more of Boracay, please read on my Sun Kissed Boracay Travel Post.Our earlier visit this year we stayed at The Sandcastles Apartments. The Station 2 is center for sun bathing, swimming, shopping and dining area. We just then take a leisure walk to Station 1 for Jonah's fruit shake, the classic groto (shrine) and then have a more intimate swim besides the shrine, which I like better because of it's pristine water and white sand. 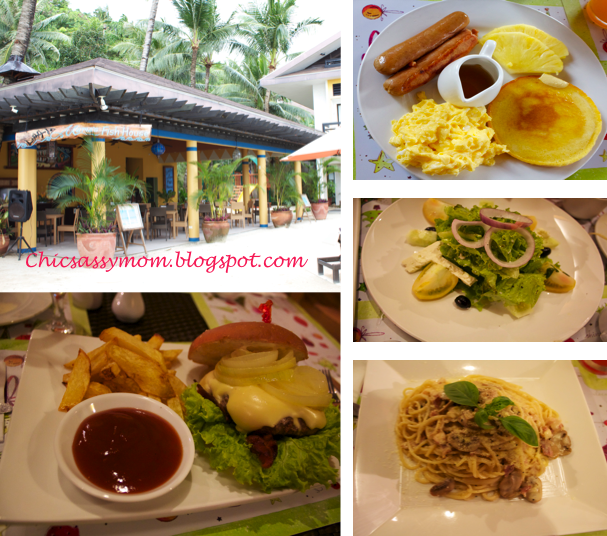 But for this time around, we tried staying at Microtel. It's past Station 1 called Diniwid Beach. It's between Nami Resort and The Beach House. From the Jetty Port, we paid Php 150 ($3+) for the tricycle ride that will bring us to our hotel. It was a really truly long trip. It's additional 20-minute ride after the usual pick up/drop off point at the Budget Mart at D'Mall located at the Station 2. It's literally a long and winding road going back and forth to Station 2 to Diniwid (Microtel) by hotel shuttle or public tricycle. The trail that connects Diniwid Beach to Station 1 is also similarly long and winding path. We took the footpath once, but since we're with my son, who easily tires with walking under the sun, we just took the hotel shuttle going to station 1 and station 2 and the back to the hotel. What you see is what you get! :-) The facilities speaks for themselves. Clean rooms and Great View! 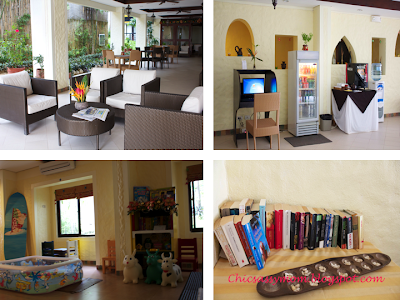 Microtel Boracay Cozy Lounge, Complimentary Coffee & Water, Children's Area, Books etc. We got the beach front room, which I booked online with a cheaper rate than calling the actual reservations number. It has a lot of clause though, which actually after reviewing sort of scared me, like the cancellation etc. We actually had to change our dates, move it one day in advance, from the online terms and agreements, it will actually tell you that you can't modify it since we've been passed the cancellation period. 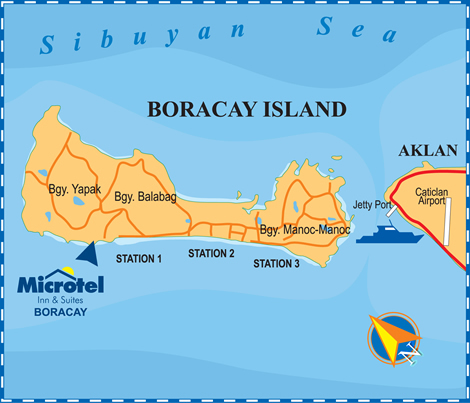 But I called Microtel Boracay, at first the staff couldn't do anything about it, but I asked to speak to the manager. True enough, a certain Ms. Allie, just said no worries, and she just made the necessary changes without any extra fees or penalties. Although, when we arrived there, since I didn't make an effort to check the new email confirmation, we were surprised that they did not change the bookings yet, so they were actually expecting us to arrive a day after. I just told them that I spoke to Allie, and with one phone call away,we were all set! Friendly and welcoming staff...plus the welcome drinks, cold towels and their version of flower lei in shells. They have free flowing coffee (Nescafe) and tea in the receiving area...hot and called water also available in the lobby and room hallways. Children gets to stay for free and enjoy it! :-)...besides the indoor play area, the outdoor play area is also a treat for my very adventurous and active son. The Hotel Shuttle Service, which had a schedule of a regular intervals, that brings the guests to the hotel and D'Mall at Station 2 alternately, was a by appointment/by reservation. Although it was flexible, like they can pick you up in between the hotel and Station 2, hence go to Station 1 conveniently, was subject to regular booking either to the front desk or to the driver on duty. We had to wait for an hour (just because my son was also too tired to walk around at the D'Mall while waiting) because we assumed that the shuttle will passed by at D'Mall at the indicated time, only after we called that we learned that we need to book it ahead of time. I'm actually half-hearted on this, but the hotel really did charge as additional Php 750 ($15 +) per day for the extra person (my mom) we brought along...we can only guess that it was probably because my husband listed her in the guest folio, and seems like we were only among the very few guests and we usually had the hotel shuttle all by ourselves, so it can't really be left unnoticed. I guess, this hotel would not be for the ones who under declare actual number of occupants in the room. (Guilty sometimes! 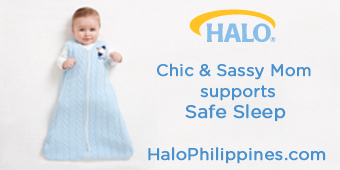 Since we normally bring my son's nanny to our trip in Manila, and the hotel doesn't really mind!) But most busy hotels, seems don't really mind. We were hoping that they would overlook this since we outrightly settled the full hotel bill, but on our check out day, they reminded us that we need to settle the extra person cost. Because it was so private, the residents mainly children who sets up sand castles at night time seems to overcrowd the small cove Diniwid Beach is situated. 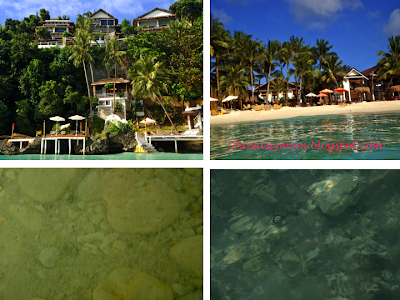 It was really truly far and very secluded from the main beach of Boracay. The land travel, either via shuttle or the public transport, is very time consuming. For me, I love swimming at Station 1, for sunbathing, it doesn't really matter, for dining and shopping at Station 2. 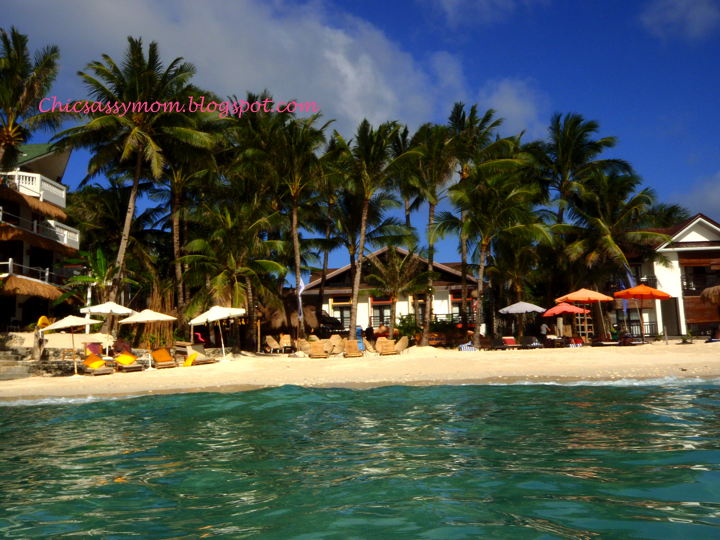 For me Station 2 is still the place to be, because it's the center of island and there are also a number of beach front hotels and truly the beach is just a walk away! But I would recommend Microtel Boracay to my friends from abroad, who did not enjoy their recent stay in Station 2, just because for them Boracay now seemed so noisy and crowded versus when they stayed there years ago! 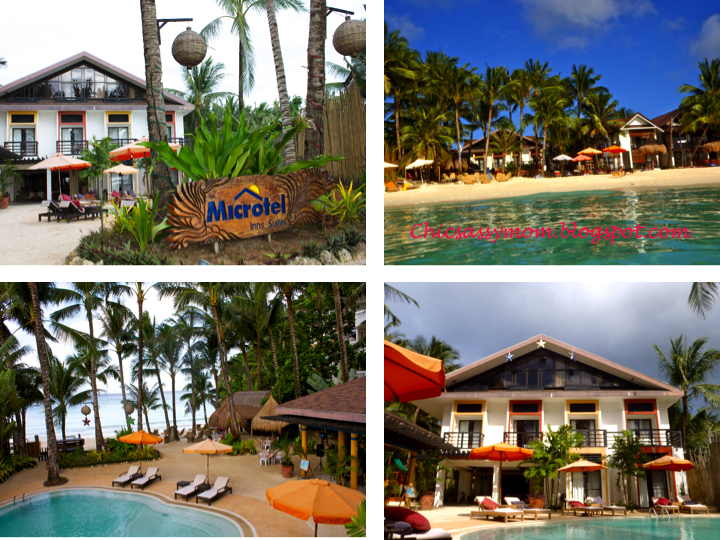 Microtel Boracay offers a great respite for those who loved Boracay way before the sort of commercialization and modernization reach the island. 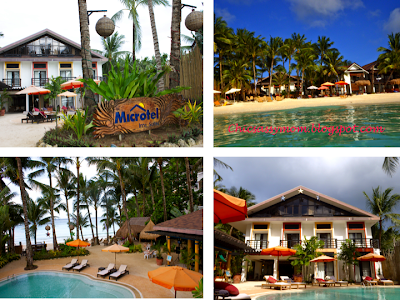 True to its claim, Microtel is discovering intimate Boracay! 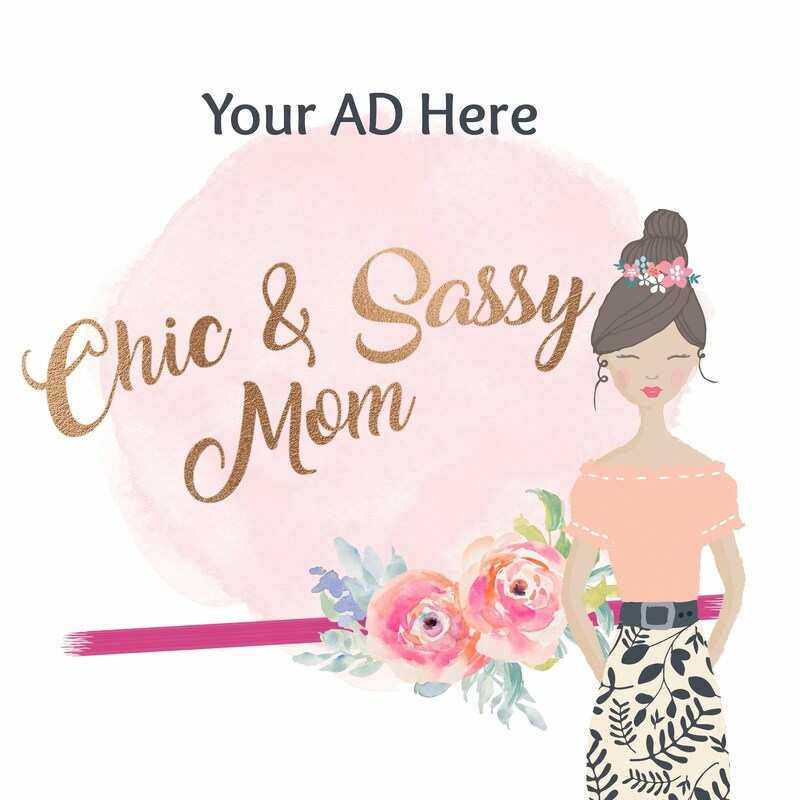 Did you notice my giveaway? You should come enter! I love beach... and this is a great shot! What a gorgeous picture. It is winter here and I miss the warmth that this picture reminds me of.